We just finished up our awesome BioShock giveaway and Big Daddy Rosie is off to a new home. The new giveaway features the phenomenal game Dante’s Inferno, which was developed by Visceral Games, the studio behind Dead Space. 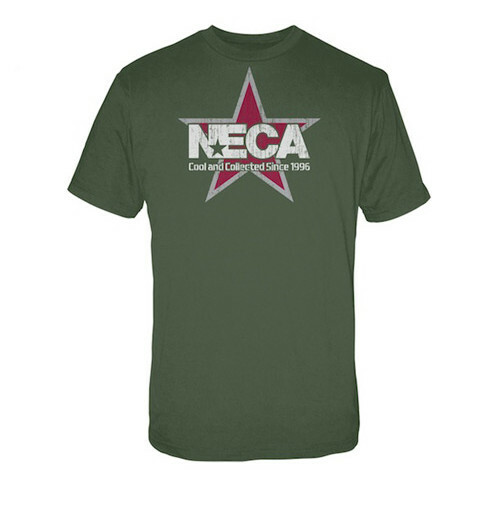 Thanks to the great people at NECA we have a sweet 7″ Dante action figure and a NECA T-Shirt to give away. What a great way to start the week! When Dante returns home from the wars to find his beloved Beatrice has been murdered, he vows to get her back by any means necessary. Fighting his way through the levels of Hell to rescue her at any cost, Dante uses the powers of the cross along with Death’s soul-reaping scythe. 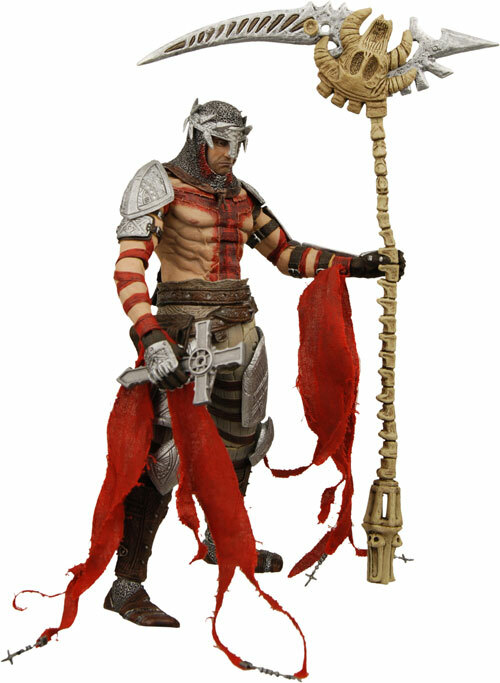 This Dante figure stands 7″ tall and includes his signature scythe along with interchangeable hands to help battle the forces of evil. In order to win this set of prizes you will need to answer the trivia question correctly. In addition to this, if you use Facebook and Twitter you can improve your chance of winning tremendously! We always want to hear your feedback. Let us know what you want to see in future giveaways and there’s a very strong chance that it will be our next prize! 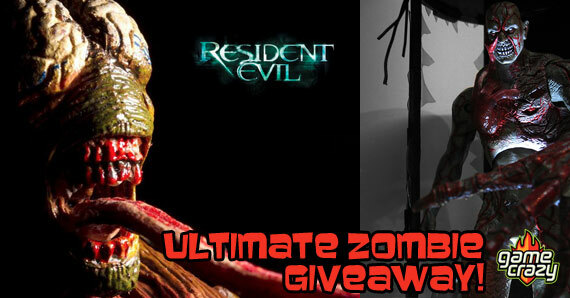 Dead Space 2 Giveaway – Light-Up Isaac Clarke Action Figure & NECA T-Shirt! 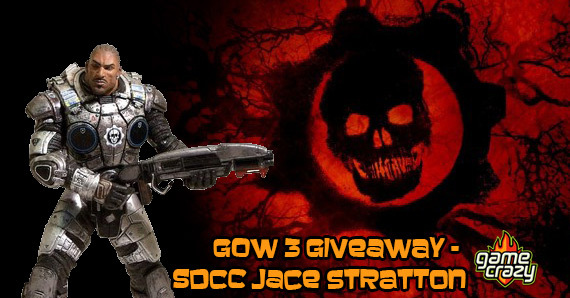 Gears of War 3 Giveaway – SDCC Exclusive Jace Stratton Action Figure Bioshock 2 Giveaway – Deluxe Big Daddy Bouncer Action Figure BioShock 2 Giveaway – Win a Big Daddy Rosie Action Figure! 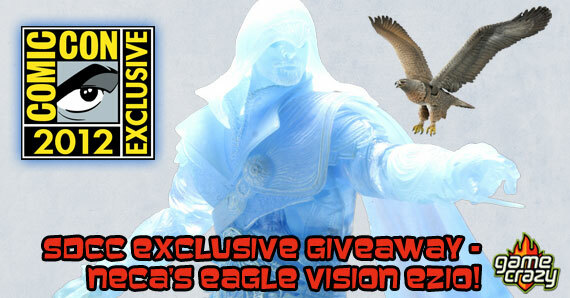 NECA Player Select Giveaway – The Ultimate Gamer Bundle of Action Figures Assassins Creed Giveaway- Win a 2012 SDCC Exclusive Ezio Auditore Action Figure! Gears of War Giveaway – 2012 SDCC Exclusive NECA Gears of War Poster Ultimate Resident Evil Giveaway: Win the entire 10th Anniversary Action Figure Set! 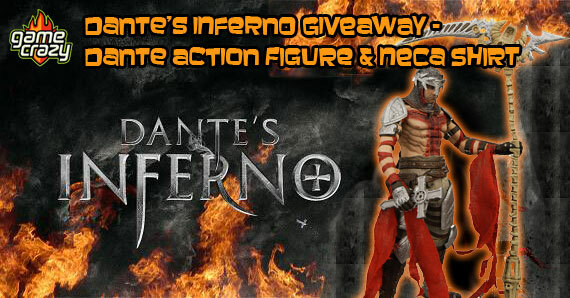 This entry was posted in Contests & Giveaways, The GC Blog and tagged dante, dante giveaway, dante's inferno, neca by summerm. Bookmark the permalink.